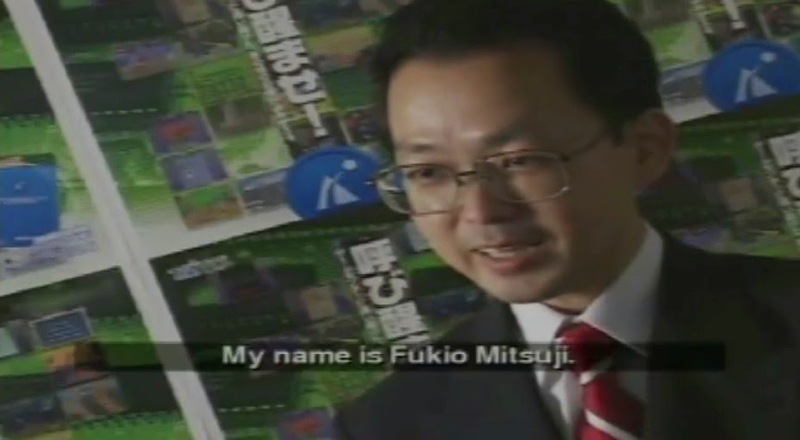 To be honest, if you asked me before writing this post who Fukio Mitsuji was, I'd tell you I wouldn't have a clue. He wasn't as prolific as some of the other game designers with most of his games being developed during the 1980s and not too much after that. He was however responsible for an absolute classic of a game, one that would spawn many imitators and have a huge legion of fans. The game I'm talking about is Bubble Bobble. As you can see, not only has it been ported to so many platforms, but to a couple of generations too considering the last release was in 2013! Anyway, the game had a simple premise: get your cute dragon past the 100 levels in "The Cave of Monsters" so you can rescue your girlfriends (apparently the dragons used to be human). Each dragon can blow bubbles which can trap any enemies they come across which they then have the option of killing by popping the bubble. Despite its simplicity, the game was very addictive and while I don't have the sales details handy, the fact there are still remakes and clones of Bubble Bobble being made to this day is a testament to how successful it must've been. But enough about Bubble Bobble, what about the man behind the game? The one who designed it? That would be Fukio Mitsuji. "...he'd rather be a person that plants trees rather than being a tree." Fukio Mitsuji was apparently born in 1960, so by the time he was in his 20s, he was developing games (as a designer and artist) for Taito such as Rainbow Islands, Sagaia and of course, Bubble Bobble. According to this site, Mitsuji, aka MTJ, refused to make a sequel to Bubble Bobble despite its huge success but instead created Rainbow Islands which borrowed similar concepts. Taito would eventually make sequels to Bubble Bobble without MTJ's help but actions such as that show that the man had some integrity (although I'm sure some would call it stubbornness). In the 1990s, Mitsuji worked freelance creating games such as Magical Puzzle: Poplis for Game Gear in 1991. According to a video that was packaged with the game collection Taito Legends (released in 2005), Mitsuji eventually had enough of being a game designer which is why he started his game design school. He said there was only a limited number of things anyone could do in their lifetime so he'd rather be a person that plants trees rather than being a tree. Bubbles: According to Mitsuji, the bubble is an intuitive visual cue to convey a fun element and popping them all at once triggers thrills and exhilaration. It definitely made the game unique. Cute characters and Co-op: Co-op play was nothing new in the 80s but playing co-operatively was crucial in a game like Bubble Bobble if you wanted to achieve the best ending. There was another reason Mitsuji wanted the focus to be on co-op play; he wanted to see couples playing the game since women at Japanese arcades during the 80s was a rarity. Mitsuji thought that the co-op play complemented with cute characters, would entice more women to play arcade games. So, a possible reason for Bubble Bobble's success was that it tapped into the other 50% of the market - something Will Wright was able to achieve with The Sims (and we know how successful that franchise is). Nice going Mitsuji-san. Unfortunately, there is a sad ending to this post because according to several online posts (this being one of the main ones) Fukio Mitsuji passed away from a heart attack on the 11th December 2008 (which would've placed him in his 40s). Yes, I know this doesn't mean it's definitive proof but there doesn't seem to have been any news to counter the claim. If Fukio Mitsuji is truly dead though, may he R.I.P.